According to online researchers, online shoppers expect a web page or website to download in two seconds to three seconds. If they find that the page is still loading or not available, they will leave that website and move to the other website. Here the loading of Web page in two to three seconds is considered as a benchmark for many web commerce websites but experts think that the rule is outdated. Microsoft speed specialists found out new user expectations that the people will visit the website less often if it is slower than a close competitor by more than 250 milliseconds. From the above information, we can say that, the better the performance of the website, the better would be the experience of the user and retention of the customers to the business. As we all know that user expectations will increase year by year. It is, therefore, the basic responsibility of every website owner to make sure that the website performance is up to the expected range. 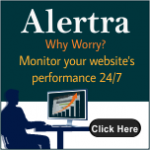 To maintain the performance of the website, they need constantly to measure the performance of the website. Below are some of the factors to be considered to measure the website’s performance. Website up-time is the amount of time the website is publicly accessible and available in the internet. It is usually measured as a percentage. It is calculated for every week, month, and year. 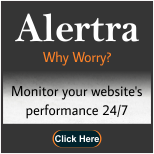 Ensure that your website has the maximum up-time, thereby indicating that your website is performing well. Server response time is the amount of time within which the server is responding to the end-users requests. Even if you build or designed your website in a user friendly, but the server is not responding or slowly responding to the user requests, then it definitely affects the performance of the website and it drives away the users from your website. Page load time is the amount of time takes to completely load the page once request made by the user to load that specific page. It is also very important factor which can impact your website performance as high page load times result in less traffic and lower customer retention. Subscribe for website monitoring services: suppose you are less familiar about the above things then opt for the third party monitoring services which measures all the above factors and gives you reports frequently.